Our end of term presentation will take place on Friday 14th December at 7pm. audience will not open before 6.50pm. Black trousers/joggers (boys), STAR T-shirts. Addition items may have been requested, if unsure please contact us. December 1st, during the STAR session. Further details will be sent out in the coming weeks. performance 3: 6th July – Pupils to arrive at the theatre at 10am for a 11am performance. Fees for West Chiltington and Worthing STARs remain at £99 per term. A second child / sibling rate is offered at £175 for the pair. For additional children please see Jason. Screen School Boot-camp fees: £66 per child, per term. 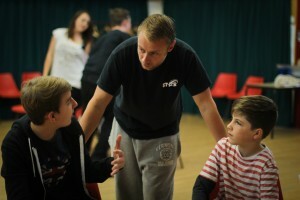 Acting Skills fees: £66 per child, per term.